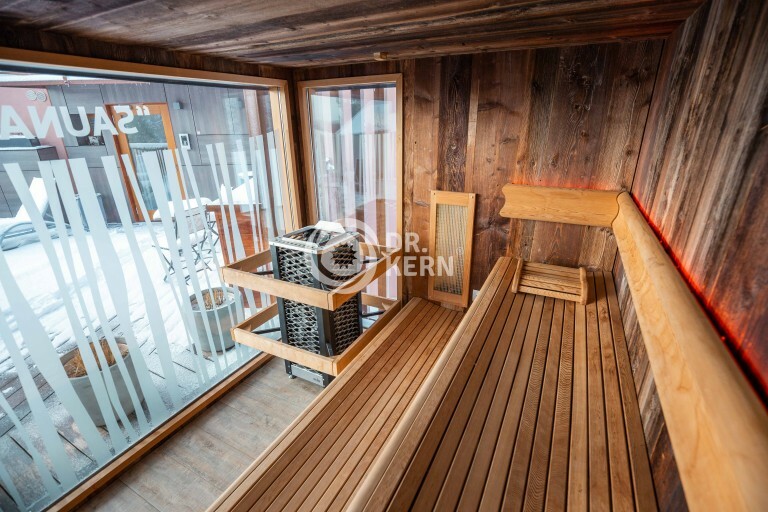 well as an optionally designed oven nish. 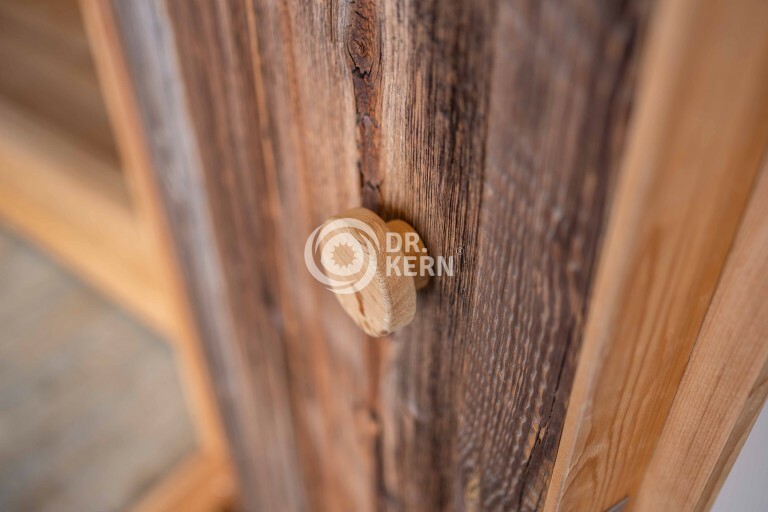 all this made of the best cedar timber. the ooring is nished in non-slip wood-aspect tiles for hygiene and safety. 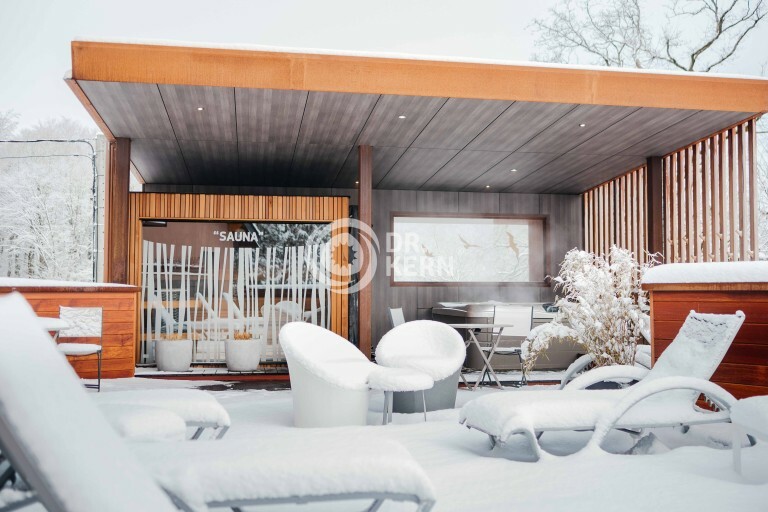 the 18 kW SaunaDome oven by EoS is the core of the sauna. 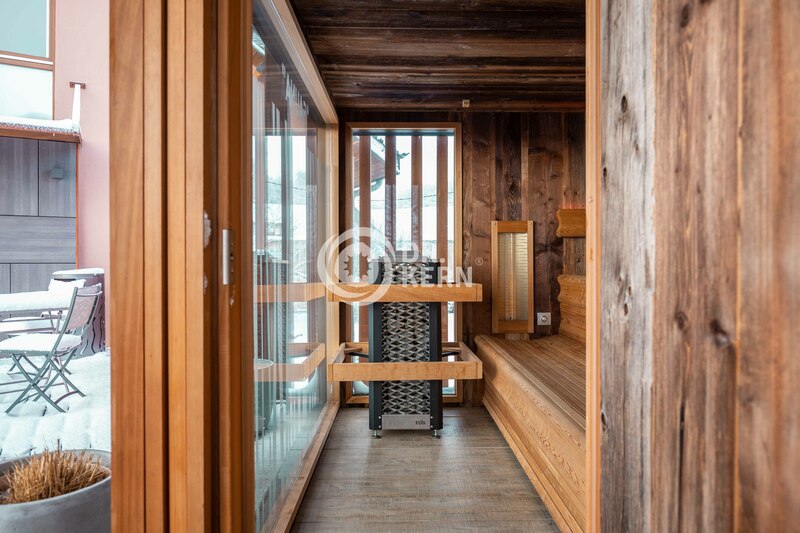 the complete sauna is controlled with the Emotec D control unit. 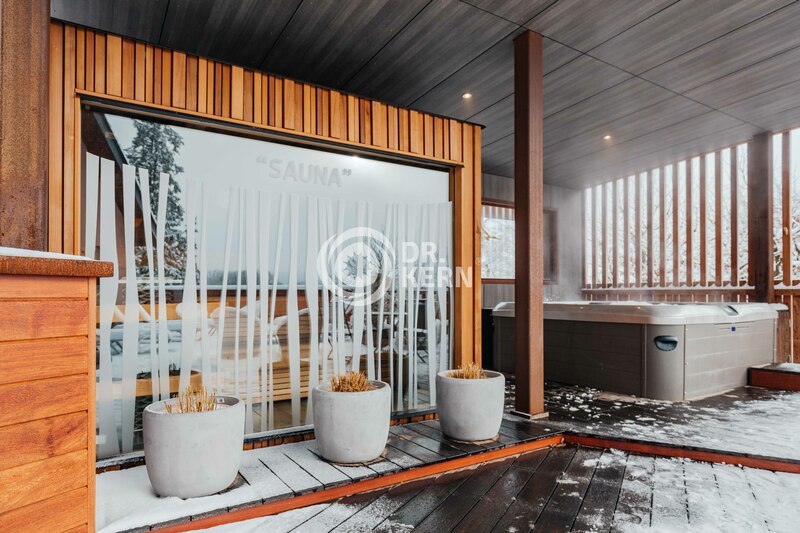 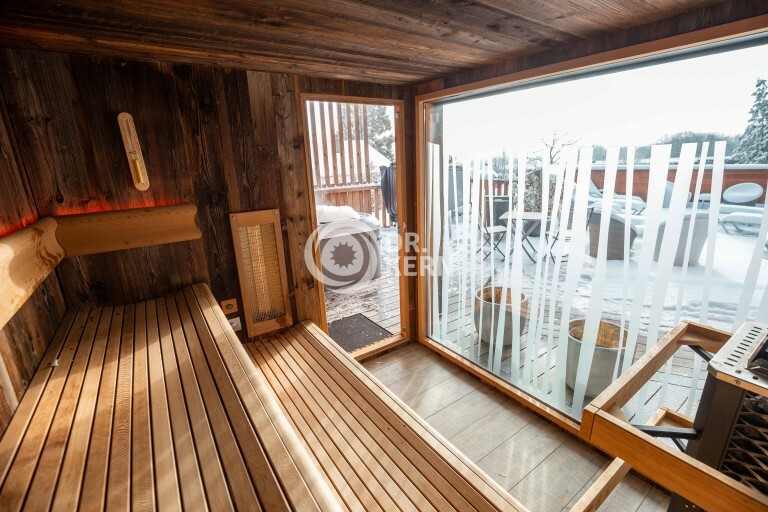 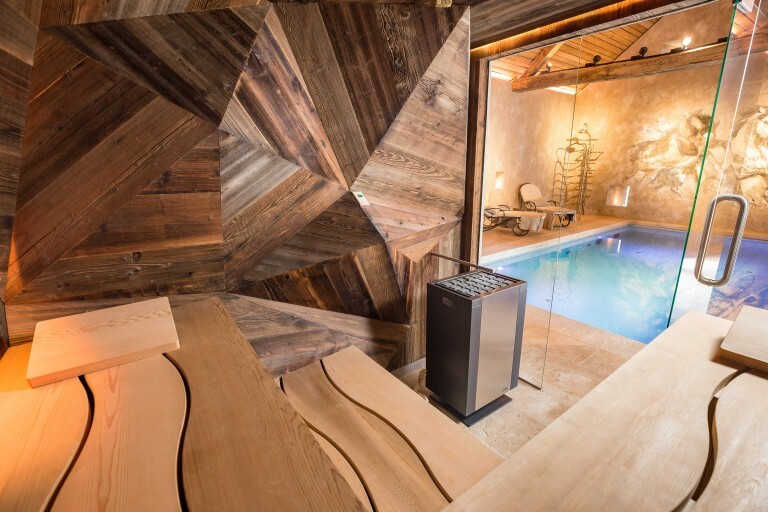 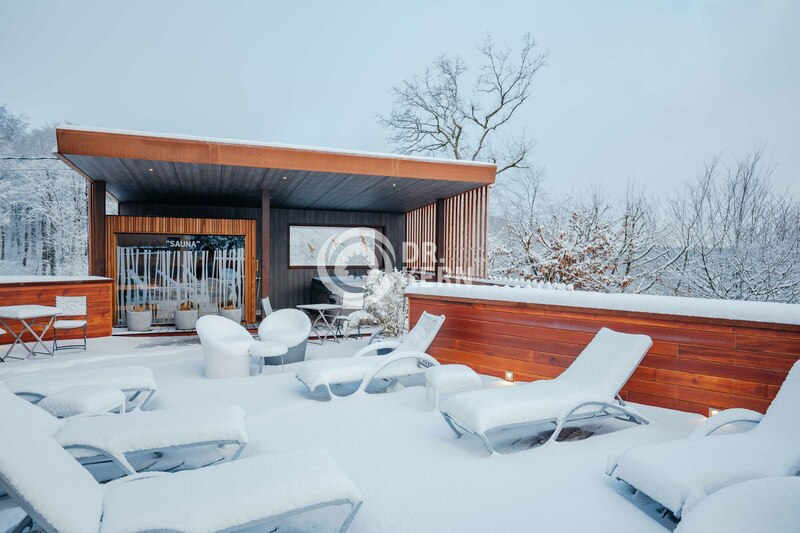 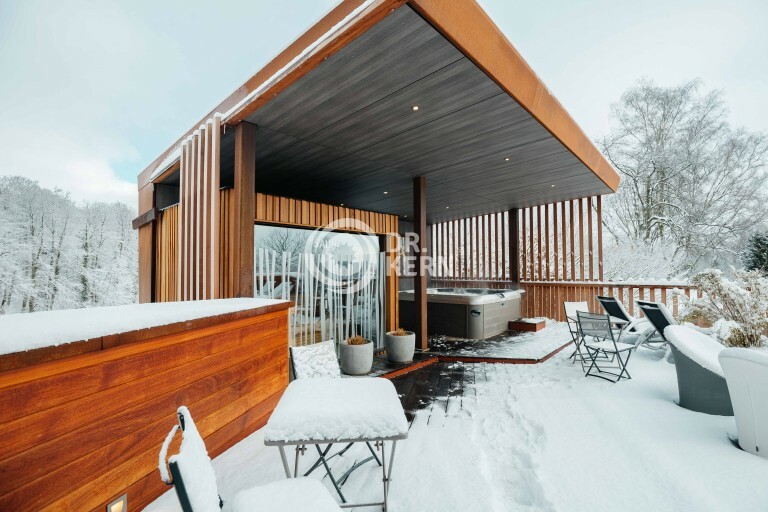 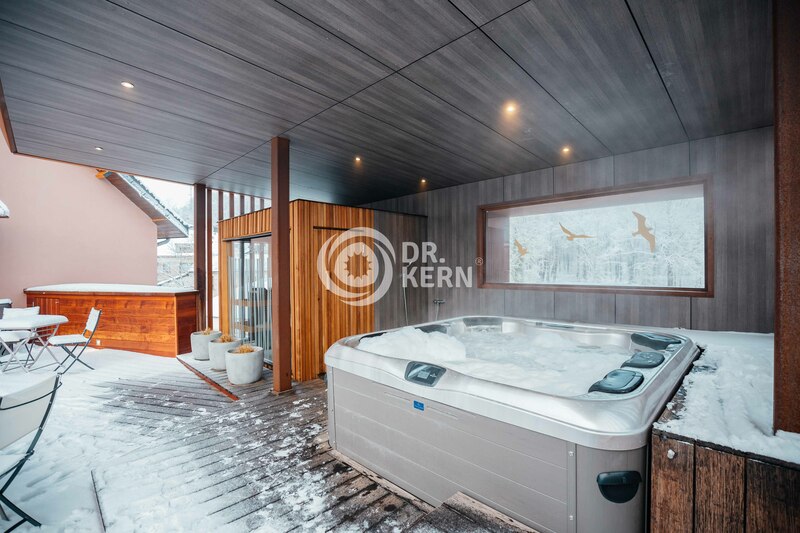 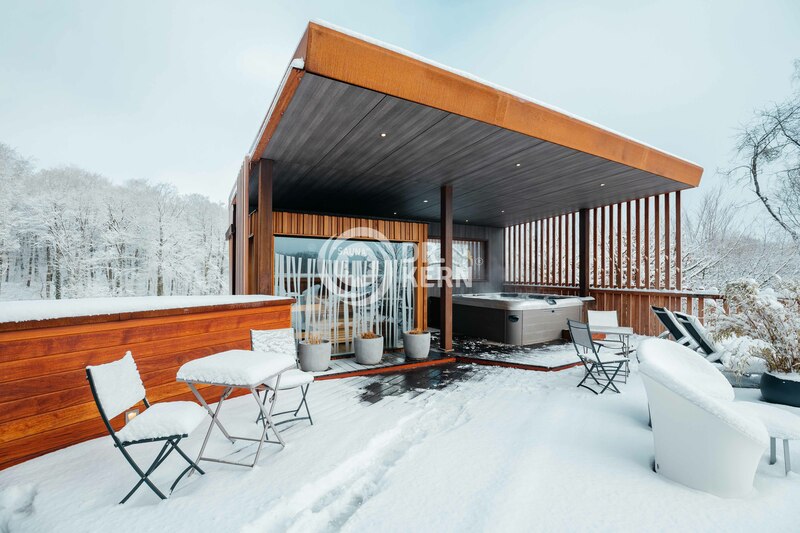 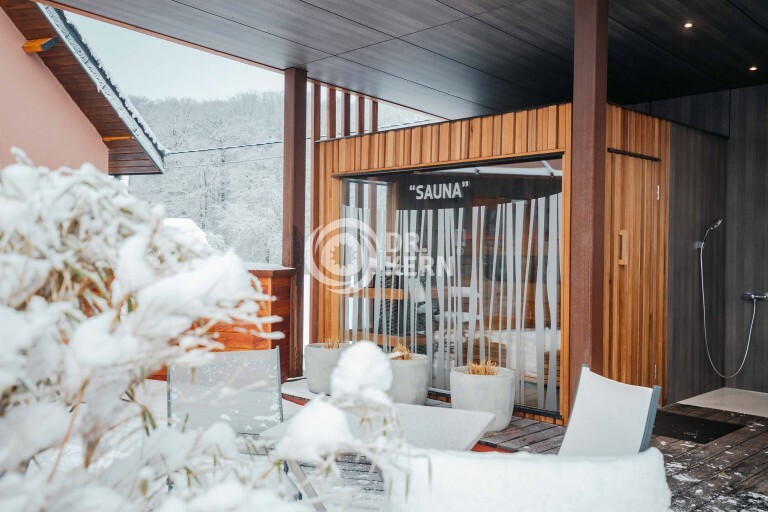 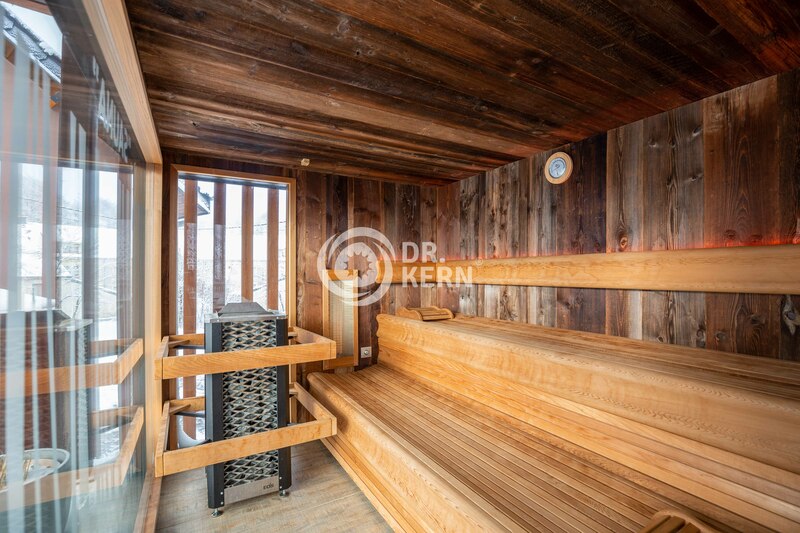 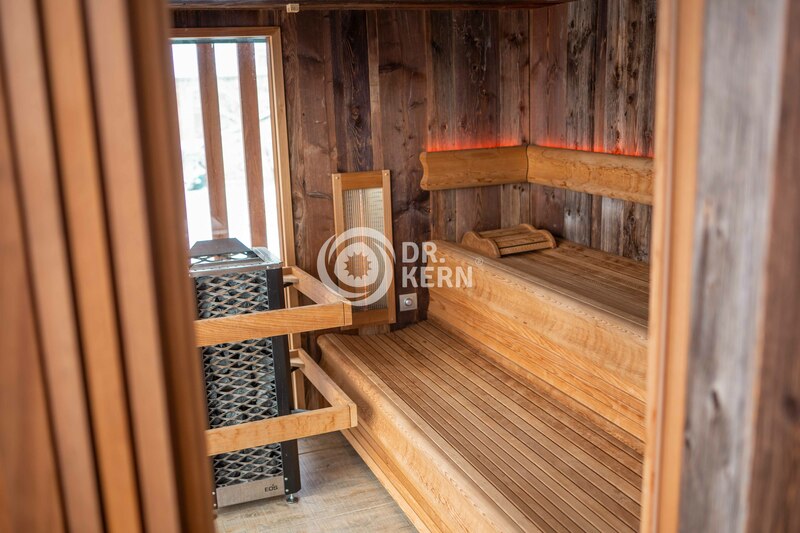 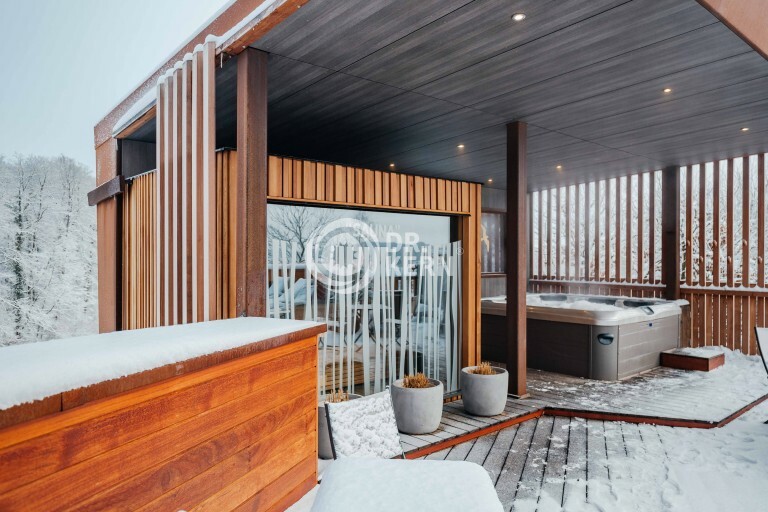 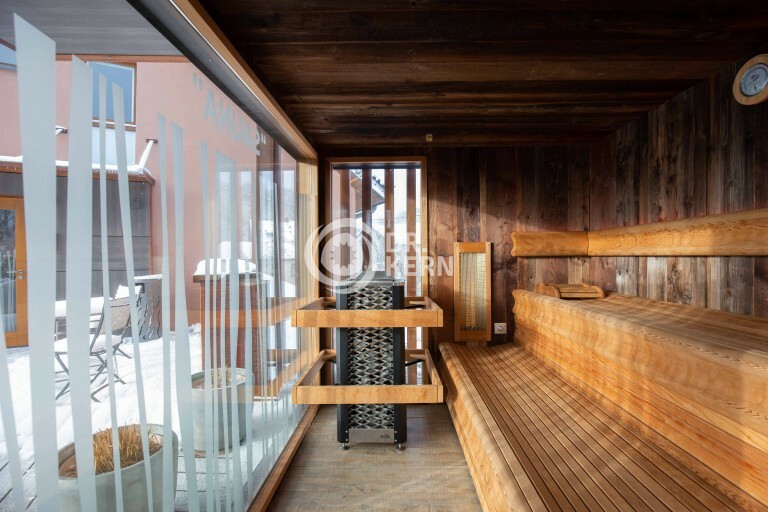 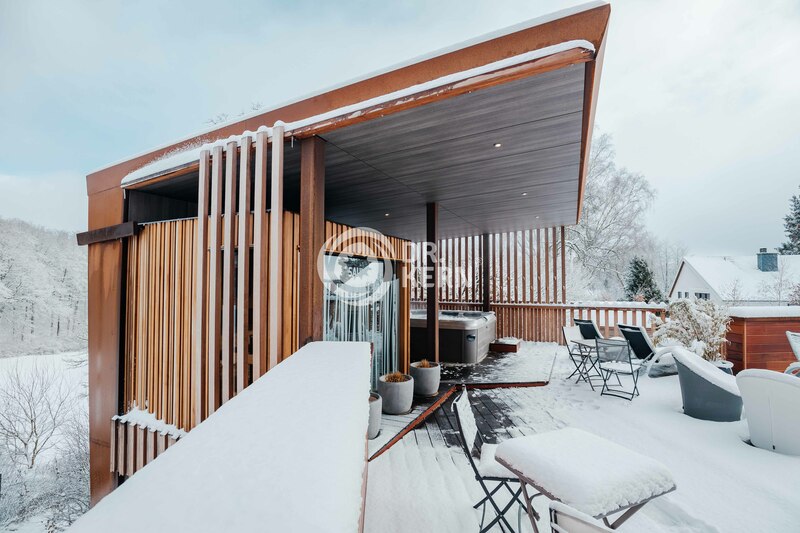 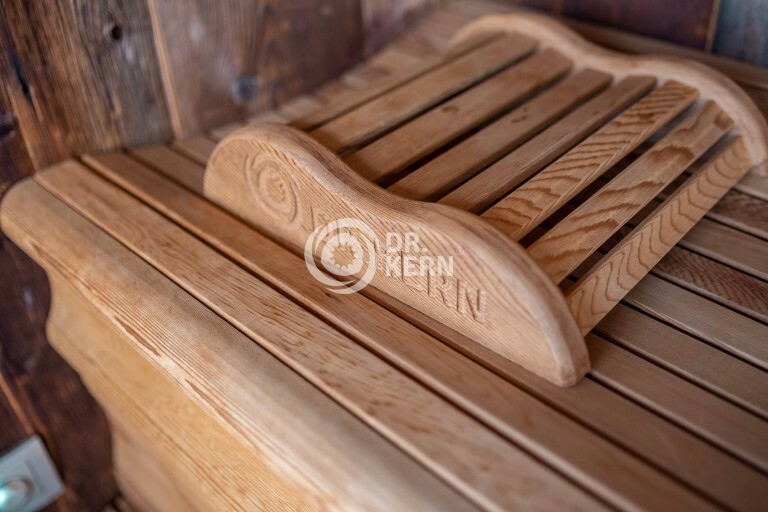 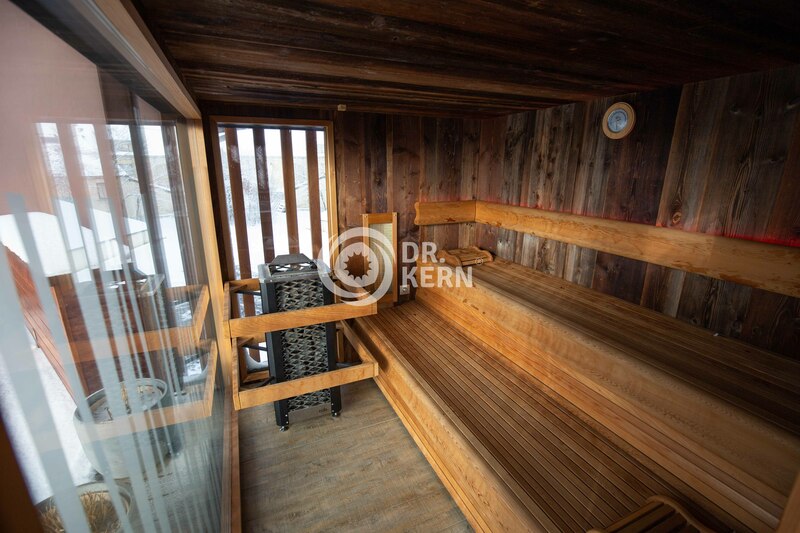 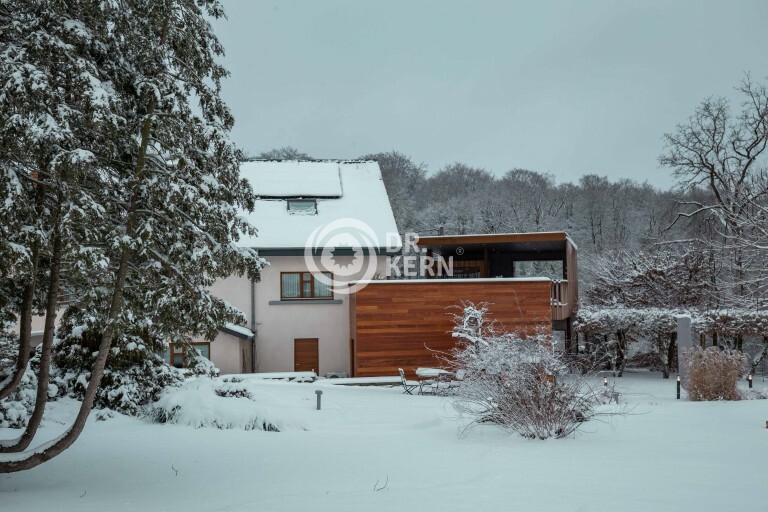 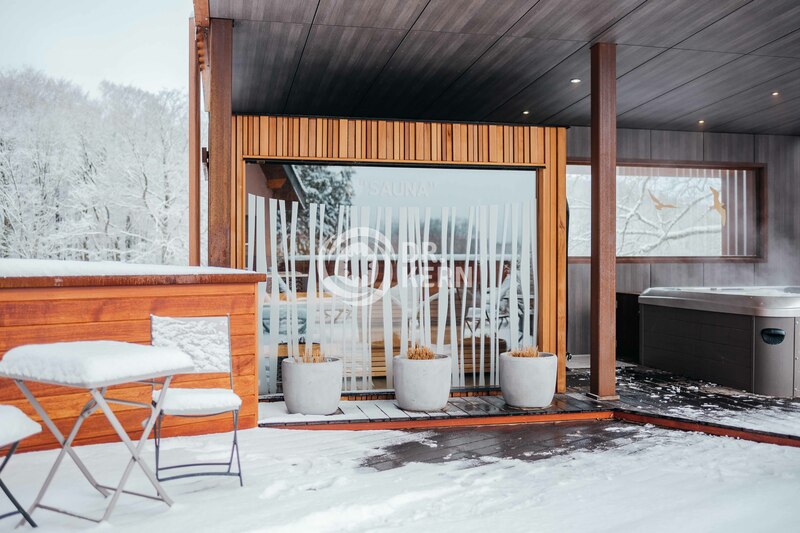 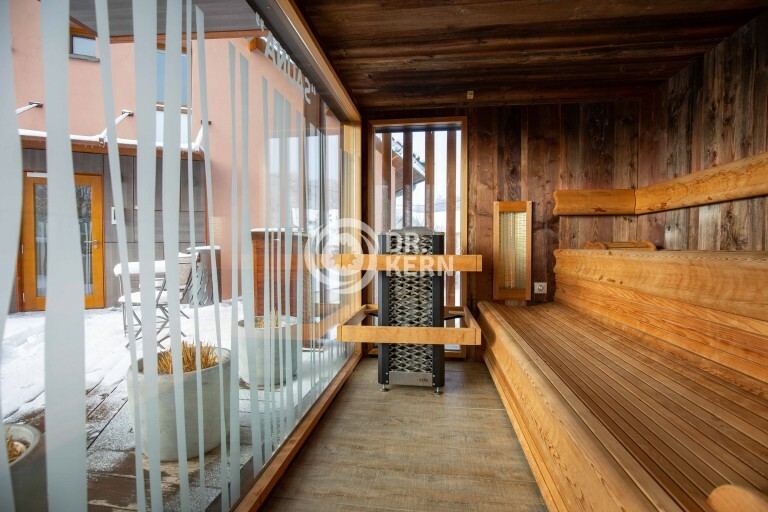 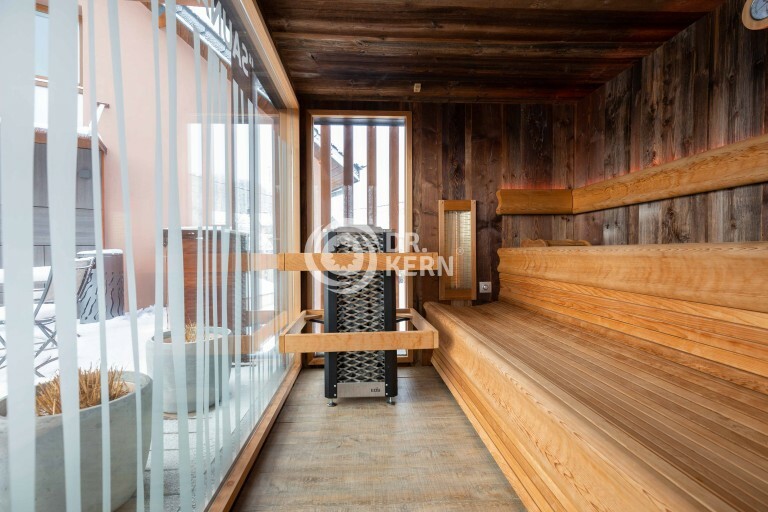 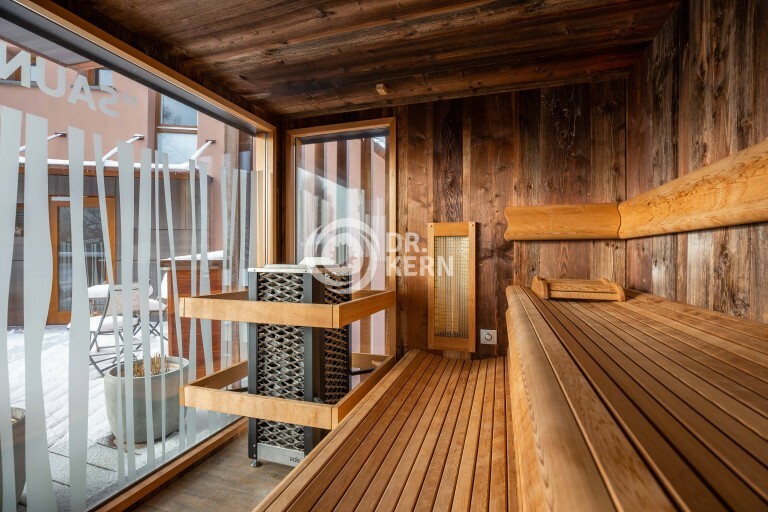 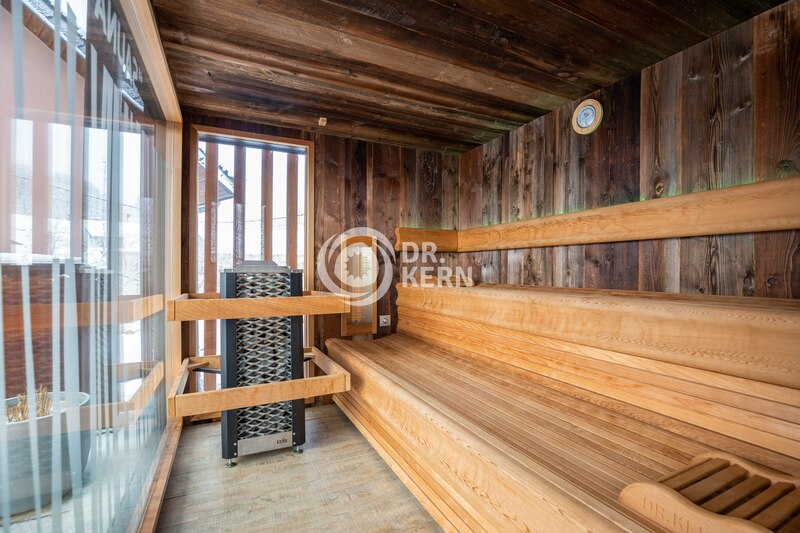 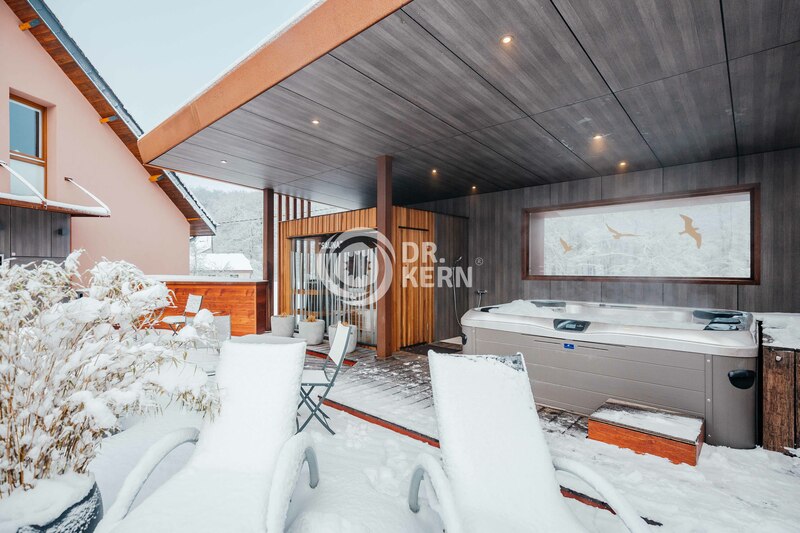 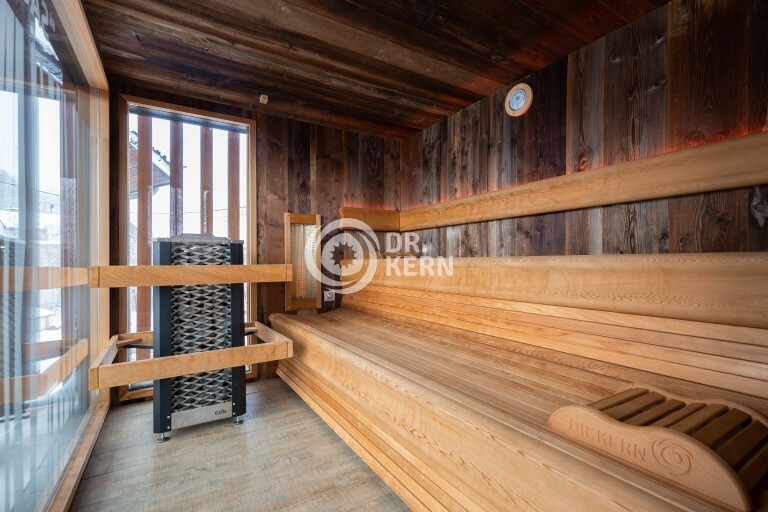 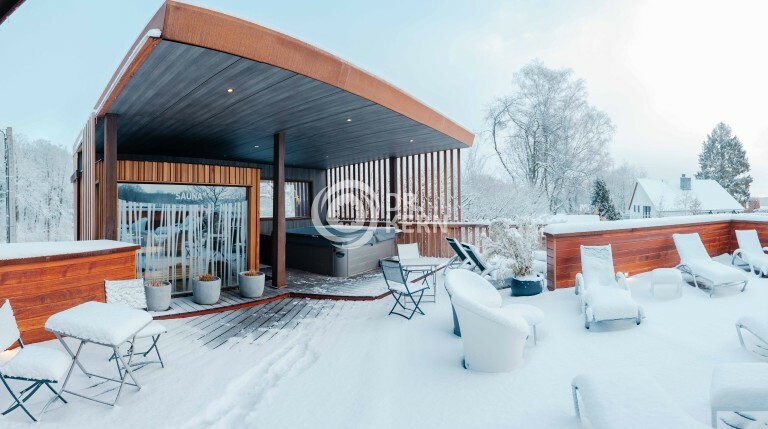 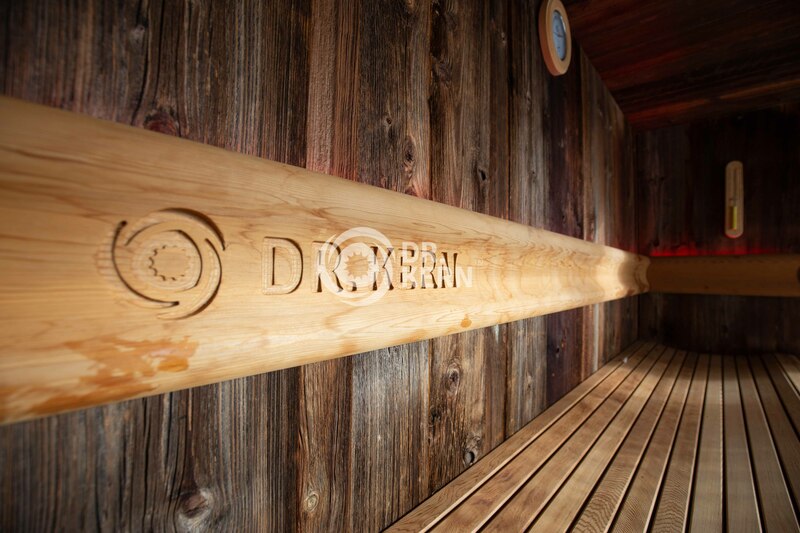 It is also connected to the music and light module as well as to the Web app control module that makes it possible to control the sauna with an app. 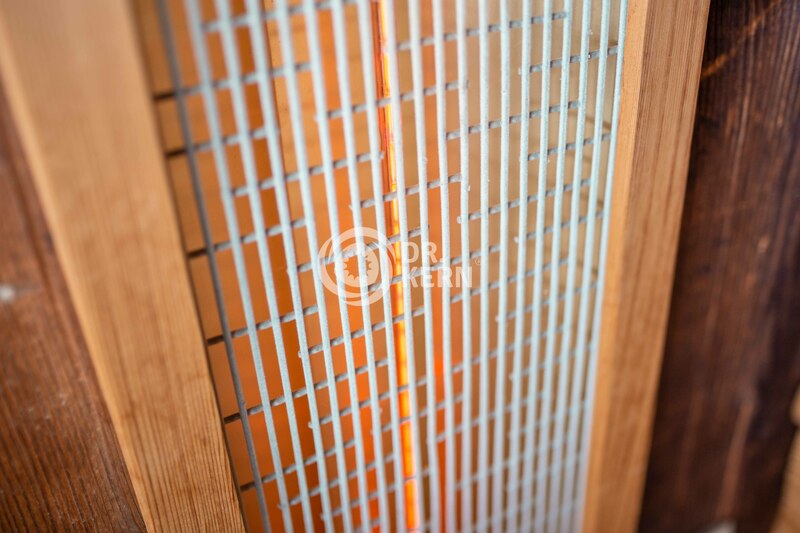 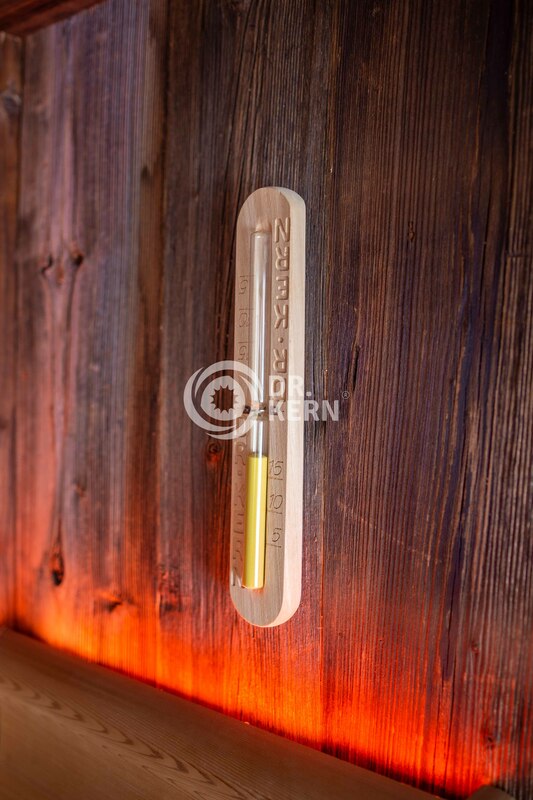 In every side wall we have placed a SSI infrared heater by Dr. KErN, this way one can enjoy the infrared heat and the indirect colour light that is placed behind the backrests and offers a beautiful iridescence.